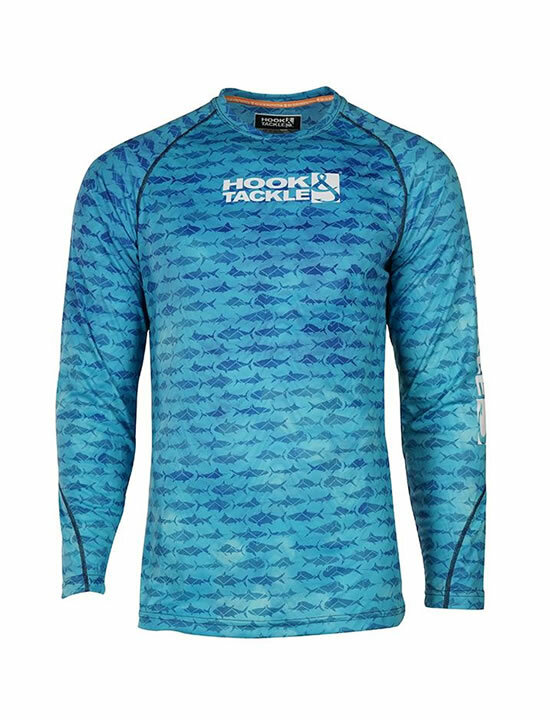 The Gamefish Camo performance long sleeve fishing shirt from Hook & Tackle combines superior UPF 50+ protection with cool breathable comfort. 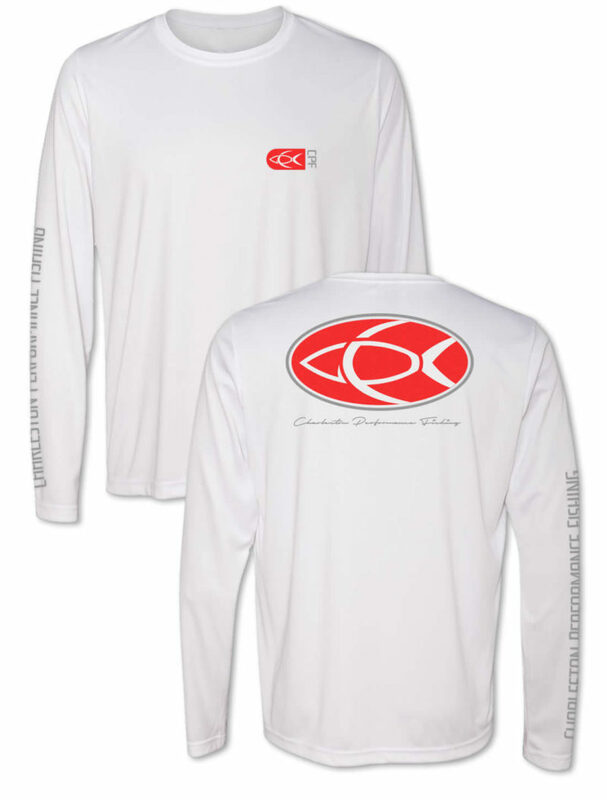 This performance fishing shirt is made with Hook & Tackle’s “Solar System” cross-channel moisture wicking fabric for ultimate protection and breathable comfort. 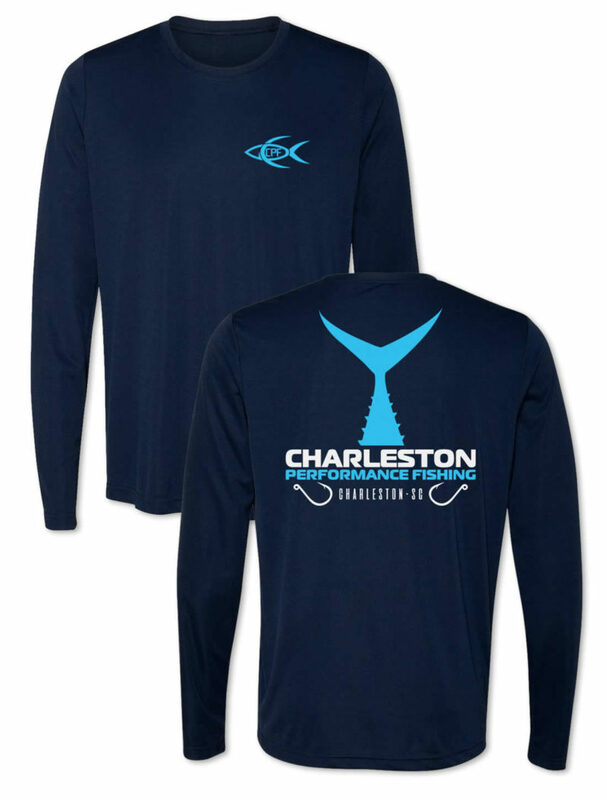 The Hook & Tackle logo is emblazoned on the left sleeve and chest. 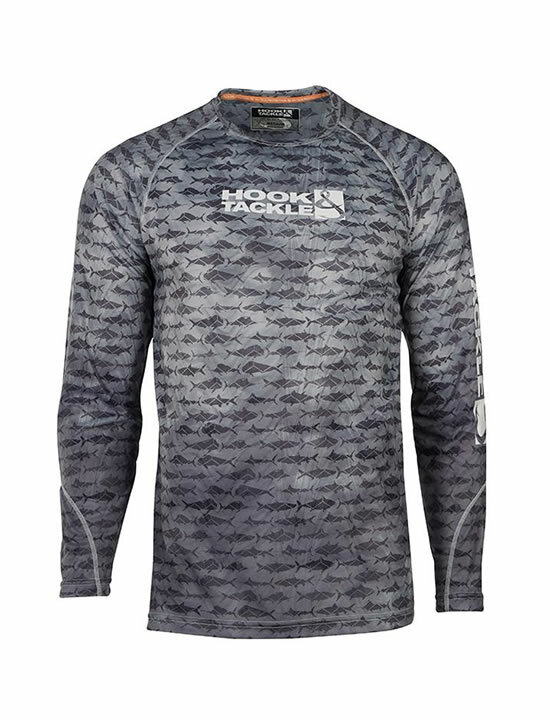 This fishing shirt features a stunning all-over camo pattern comprised of game fish overlayed over a variable color background. 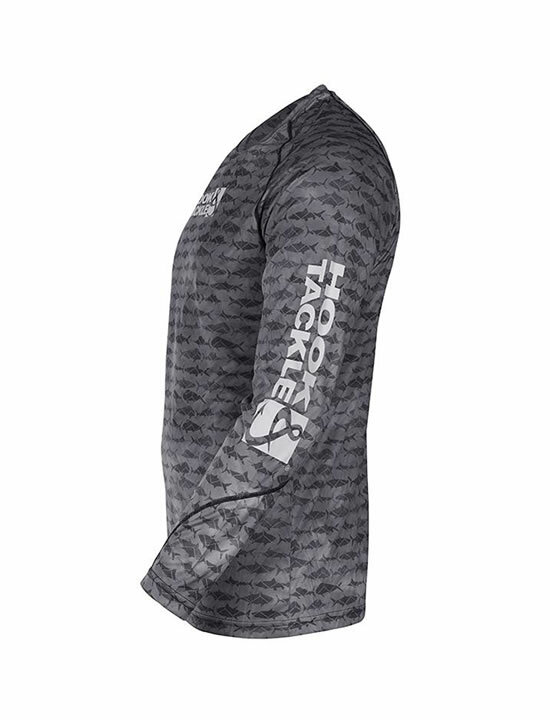 The fabric has an all-over pleasant heather pattern. 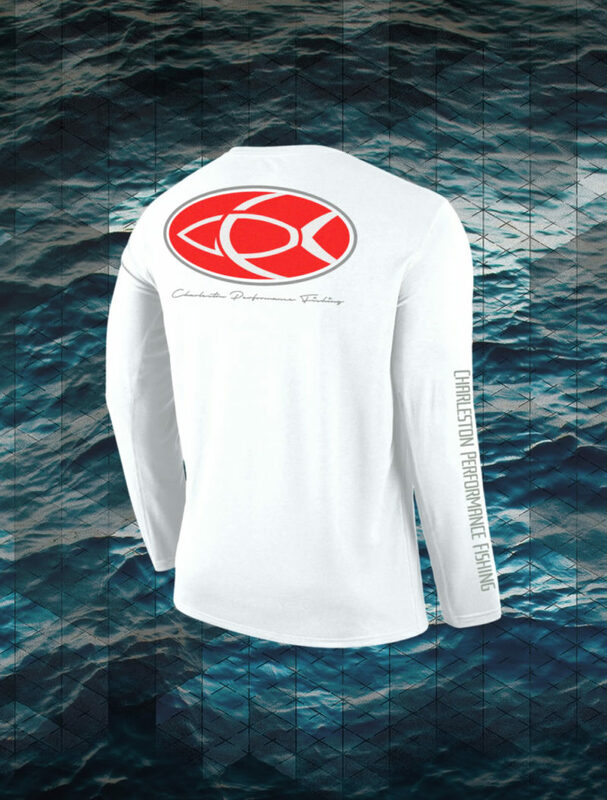 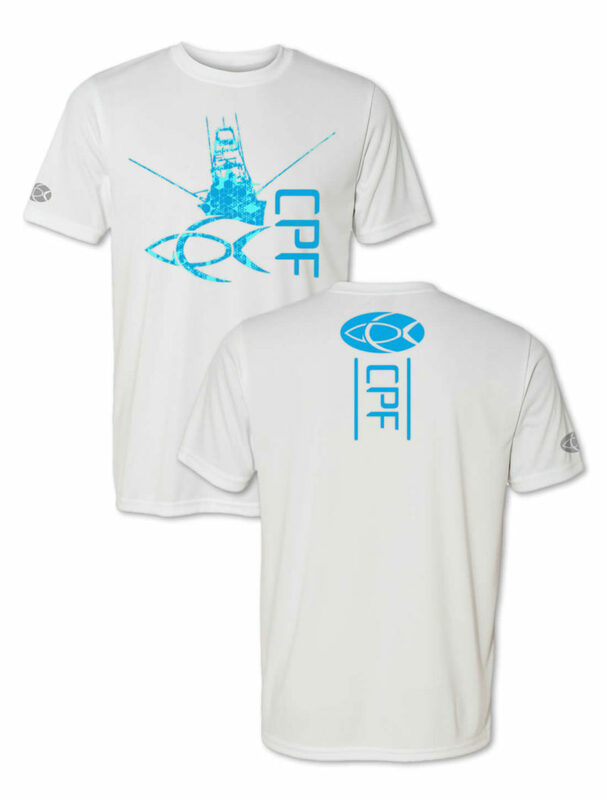 These performance fishing shirts offer exceptional moisture wicking fabric in a light-weight and breathable package that you will quickly appreciate. Experience the comfort of Hook & Tackle’s “Solar System” fabric with the Gamefish Camo performance fishing shirt.